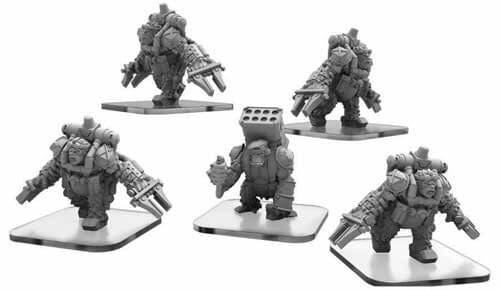 If you haven’t seen Privateer Press’ re-launch of Monsterpocalypse, you should really rectify that! Giant robots, monsters, and aliens collide to smash up cities, but in miniature form. So far, Privateer has put out some pretty sweet looking miniatures, but the next wave of releases pushed Monterpocalypse right into “must buy” territory for me! Get ready for The Empire of the Apes! King Kondo is an in your face monster that can be added to any Protectors force. He leads his fellow apes in combat, inspiring Empire of the Apes units in your force to hit harder when they make brawl attacks. His High Mobility allows him to move over models and hazards with ease and his Grappler ability prevents his enemies from being as mobile. When he goes hyper his massive punches do more damage and he gains power dice when enemies injure him. What I love most about Kondo is that he’s one of the good guys! He just wants to smash aliens and be left in peace. King Kondo has a suggested price of $28.99 and will hit game stores in June of 2019. 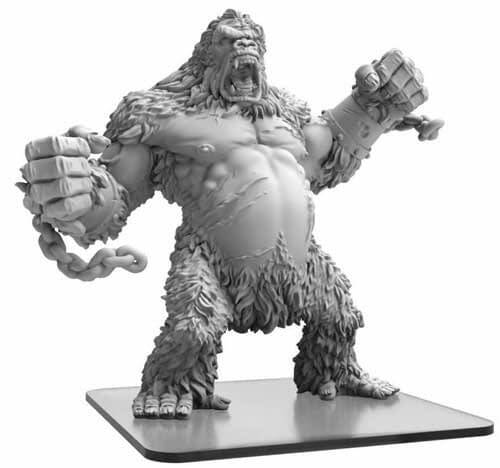 If you’re going to have a giant ape, you’re probably going to need ape soldiers to back him up! The great apes joining Kondo in his wars are extremely clever and adaptable, having stolen a variety of modern military hardware and showing surprising facility at employing them in battle. 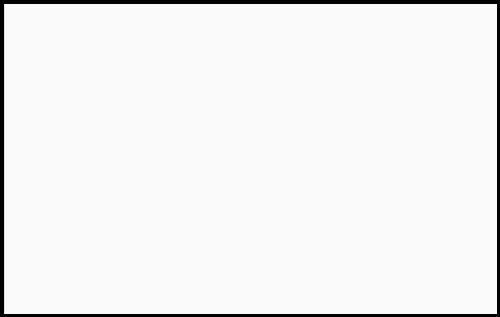 The assault ape wears a prototypal exoskeleton intended for lifting heavy cargo but which is just as useful for smashing chompers and destructomites. Rocket apes carry an explosive projectile launching array equipped with an easy-to-use firing trigger, allowing the unleashing of an ongoing salvo. Maybe I’m just a sucker for apes with rocket launchers, but these simian soldiers are so freaking cool! 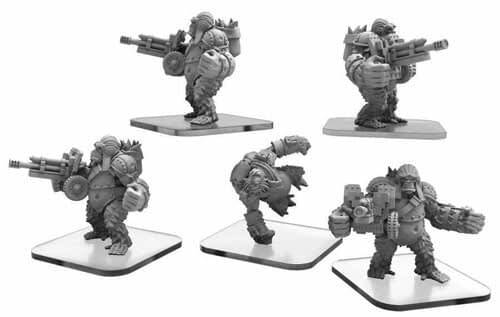 Both sets of ape reinforcements are listed at $34.99, and both sets will be released in June of 2019. The Jungle Fortress brings unit reinforcements to the battlefield and helps deploy Empire of the Apes forces. A Protectors player who secures this building can spawn Empire of the Apes units to the battlefield cheaper. Any player who secures this building gains the ability to bring even more units from their reserves into play, allowing them to overwhelm any opponent. One of the cool game mechanics for Monsterpocalypse is that some of the buildings have built in game mechanics, so different buildings can summon reinforcements, other provide buffs to troops. It’s pretty cool to see in action, especially when they get smashed. 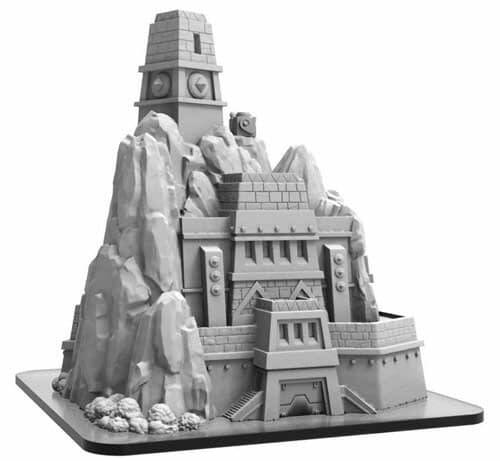 The Jungle Fortress retails at $18.99, and will be available in June of 2019!